Almost everyone who visits your home is going to want to get connected to the wi-fi, so make it easier for them by changing the password to something that’s a bit more straightforward to type in than the usual random string of characters you get with a router out of the box. You still want a secure password though, so keep it long and hard to guess—a couple of unrelated words would do the trick. Open up your router’s settings to find the wireless password and change it (the supplied documentation or a quick web search for your router model should help if you’re not sure on the details). Amazon Echo and Google Home speakers will respond to anyone who tries chatting to them by default, so there’s nothing to stop your guests or the kids getting answers to their questions on the web, turning on the living room lights with a voice command, or doing anything else you’ve set up. Amazon does let you set up two adult users for each Echo, but you need two Amazon accounts for this, so you can’t (for example) create a “guest mode” where your personal calendars and other data are locked away. If you don’t want anyone knowing what’s on your agenda, you really need to disconnect those accounts from the Echo. To make sure a roommate or siginificant other can use Alexa the same way you can—with their own calendars and purchased history available with a word—choose Household Profile from Settings in the menu of the Alexa app on your phone to start the process of getting your Echo to recognize two different people. It’s good for keeping your smart speaker use separate from your partner’s, but not so handy for guests and family, as one account needs to be active at any one time. Google Home fares slightly better with its Voice Match feature: This can work with just one person, so anyone who isn’t you (like the kids or your Airbnb guests) has a more limited list of voice commands available to them. You should see the option to set up Voice Match appear alongside any compatible speakers in the Devices tab of the Google Home app. Once you’ve been through the training process, the Google Home will block out the following queries for anyone else: Routines, calendars, flights, shopping lists, payments, and photos. Access to your assigned music and video services (such as Netflix) will also be tied to your voice alone. We’d say there’s still room for improvement for these speakers in terms of delineating what you and your voice can do as opposed to what anyone else can do with them. Yet with Google Home’s Voice Match you can at least lock certain features away without having to hide your speaker completely. If you’ve got a Sonos system set up at home, anyone else can make use of it—all they need to do is connect to your wi-fi network, install the Sonos app for Android or iOS, and they’re away. It’s great for parties and get-togethers, though bear in mind that anyone who connects will also have full use of your Spotify, Apple Music, and other connected accounts as long as they’re on your Sonos system. Alternatively, your guests can fire up Spotify or Google Play Music on their own phones and then choose your Sonos speakers as an output source. This is also true for any devices that work with Google Cast, like the Chromecast you might have plugged into the back of your TV, for example. The crucial step is giving them access to your Wi-Fi network. Both Google Home and Chromecast devices feature a “guest mode” feature where you can give visitors access to the device without letting them on your wi-fi network, but really it’s just simpler all round to let them connect to the network and use these devices that way. If there’s someone at home you don’t trust on your wi-fi, why are you letting them blast out tunes through your Google Home Max? If you’ve got a smart home setup that’s built around Apple’s HomeKit standard, then letting other people in on the action isn’t too difficult, as long as you’re using a HomeKit hub device—an Apple TV, an iPad, or a HomePod. Make sure everything is set up and connected first using your own iOS devices, and then you’re ready to invite someone else through their iCloud credentials. Open the Home app on your iPhone or iPad, then tap the arrow in the top left. Tap Invite, enter the Apple ID of the person you want to share control of your HomeKit smart home, then choose Send Invite. The invite appears in the Home app on the devices of the person you’ve shared access with. 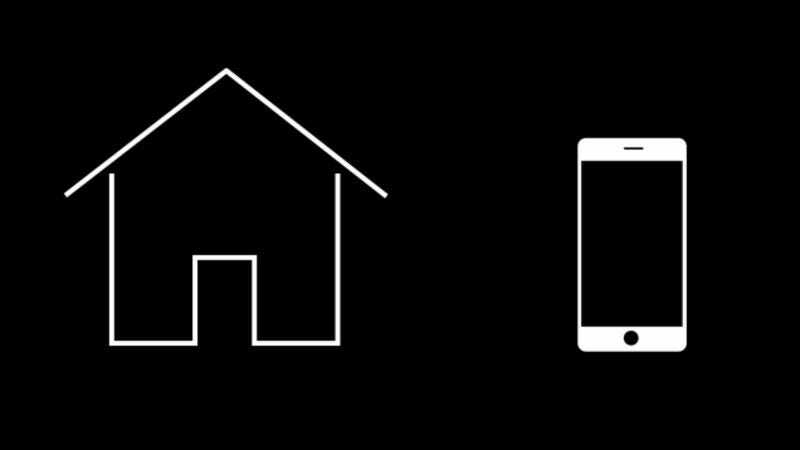 Granting access to someone else or a group of other people (maybe your weekend guests) gives them the same control as you get through the Home app—control over simple device settings, scenes, and so on. They won’t be able to get at more granular controls without installing the separate apps for each device, and they won’t be able to control settings remotely unless you specifically allow it. You can also revoke shared access at any time. This is more of a general recommendation, but to save the trouble of getting five different people connected to the wi-fi, your Sonos speakers, a Chromecast, or whatever else it is you’re working with, you might want to invest in a tablet that’s shared around with everyone. This tablet could be set up to manage everything from smart thermostats to what’s playing on YouTube on the big screen, so you’ve got lots of options. Obviously there’s a level of trust when it comes to passing around a tablet, but keeping personal information and apps hidden away isn’t too difficult—iOS in particular has some good restriction options for locking down certain features (like new App Store purchases). Whether an iPad, Windows slate, cheap Amazon tablet, or whatever is best for you depends on which devices you’re connecting up to it and what exactly you want it to do, but having one tablet to control everything makes a lot of sense, and might be quicker to set up depending on your circumstances. Finally, one group of smart home gadgets made for guests, family, kids, and pretty much everyone else are the smart door locks: These devices are sold on their ability to let you let anyone into your home remotely, without having to get multiple keys cut or be in your house every time someone needs the door opening. As you would expect, adding in new users is very easy. All your kids or guests or friends need is the app relating to the type of smart lock you’ve got installed—it’s then just a question of picking them out of your contacts and dictating what sort of access they’ve got and when (just remember to turn your smart home alarm off too). Really the tip here is not so much how to configure the tech, as that’s very easy to do, but to consider setting up a smart lock on at least one of the doorways into your house or holiday home—if you’ve got a lot of people coming and going, it’ll make life easier for them and for you. We mentioned it earlier, but one of the best ways to make a smart home more manageable is to do something a little less techie and write up an actual cheat sheet. Whether they need to know how to turn on the lights with Alexa or get on the wi-fi, a list of instructions and commonly used commands can be very helpful. Be sure to put it somewhere accessible, maybe next to the emergency contacts you keep on the fridge for the baby sitter, or on a post it in the guest room. Smart homes can feel much more complex to people who don’t use them often, but a short list of instructions, quick tips and passwords (that you feel comfortable sharing) can make visitors (or significant others stuck with your tech obsession) feel at home.